Home / Happiness / Today Is Your Lucky Day! It’s Friday the 13th. Oh no, how can that be lucky? I’m not going to spend a lot of time writing about the folklore surrounding Friday the 13th. If you’re interested, Wikipedia has a pretty thorough article about Friday the 13th. Many people, though, think Friday the 13th is an unlucky day. The number 13 is considered unlucky by a lot of people as well. Buildings often don’t have a 13th floor. Players in various sports often shy away from the number 13. Friday the 13th has been both lucky and unlucky for me. The lucky one? I was born on a Friday the 13th. The unlucky one? My father died on a Friday the 13th. Was one lucky and one unlucky? Some might say so, but I don’t really believe that. I don’t think luck was really involved in either of those things. My mother died on Thursday the 17th a few years ago. That doesn’t make Thursday the 17th some sort of unlucky day. Luck is one of those things that people can debate from now until the end of time. Is there really such a thing as luck? Who’s to say. 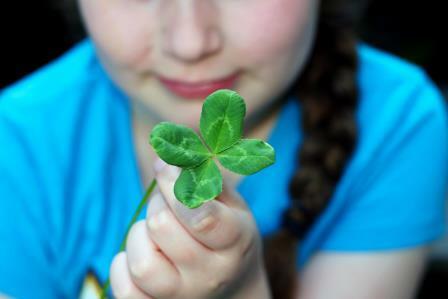 I’m an optimist, so I’m going to fully believe that today — and every day that follows — is a lucky day for me. If something bad happens on a particular day, I’m not going to attribute it to being an unlucky day. In fact, I’m not even going to assume that luck had anything to do with it. I’ll just accept what happens, and make the best of it. It’s Friday the 13th so celebrate today because it’s your lucky day! ← Previous Story What Will You Do About It?